This article is updated continuously according to the promotions of the moment. Last updated on October 26, 2018. To rank the best 2018 cell phone plans, we have optimized our results for 3 user types: the lowest rates available, the average user and the intensive user. In all three cases, we have only considered the ‘bring your own phone’ packages. If you would like to consider plans with phones, we invite you to use our comparator. – You are looking for the most economical package. – You use your cell phone very little – only in case of emergency or to get together with friends. We advise you to opt for voice and text package, with 200 minutes of calls. Public Mobile is your best choice here, with unlimited calls province-wide for $20 prepaid per 30 days. Plus you can save another $2 with the AutoPay option, unbeatable. In Quebec Public Mobile is also you best option with the same plan unlimited calls province-wide for $20 prepaid per 30 days. You use your cellphone regularly to call, go to Facebook, read your e-mails, etc. 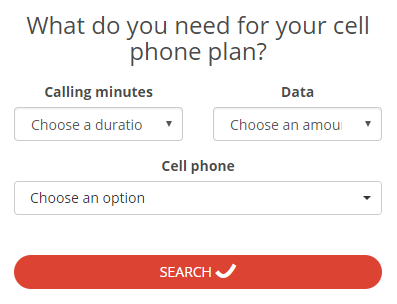 We advise you to take an average rate of 2 GB of data with unlimited Canada-wide calls. The best option is Freedom Mobile and their plan for unlimited Canada-wide talk and 2 GB of LTE data is at $40 / month. Plus for limited time only, you can get 3 GB bonus for 24 months to avoid overcharges. The best offer is Koodo, with their unlimited Canada-wide calling plan and 2 GB, at $45 / month. You are hyper connected, always on the Internet, you are constantly hooked to your cell on your social media, for you will go on the option of unlimited voice and 8 GB of data. Freedom Mobile has the best deal out there, with a 8 GB data and unlimited calling plan for $ 50 / month. The best plans for this profile are offered by Koodo, Virgin Mobile and Fido with 8 GB of data and unlimited minutes for $49/month. If I was to get a new phone with Koodo, would I keep my phone number. Sure you can ask Koodo to move your number when you subscribe. Have a look at this page that explains how.